Rain Stickney’s integrative healing business, Dragonfly Bay, has been in the makings for much of her life. In junior high, she first became interested in the body and healing. In high school, her interest in psychology took off. In college, she considered the connection between mind and body. In graduate school, she studied spirituality. Dragonfly Bay combines all of these elements into comprehensive healing. “It was a very long process. I had a lot of seeds early on. Throughout my life there were these different phases in getting piece after piece of the integrative healing model,” she explains. Rain views humans as very multi-faceted; therefore, her healing attempts to be attentive to all four levels of the human experience: physical, mental, emotional, and spiritual. Dragonfly Bay is inspired by Rain’s own deep-seated spirituality and furthered by her natural healing powers. She offers counseling, coaching, massage, and meditation to clients in order to heal and support them. Her passion for healing runs deep: “This is my most true gift to offer to the world,” she declares, going on the describe the ripple effects of her healing. “It starts with my own healing and mov[es] outward”. Much of her work centers around meditation. She has built a community within her business through collaborating with other business owners. Ultimately, she hopes to create networks of healers as resources for her clients and connect each client with their peers. Connection, collaboration, and community are the central pillars of her work as a healer, because often the relationship “that can be created between two people or in a group of people” has its own special healing power. Her clients are typically quite varied and diverse, but are joined in their appreciation of unorthodox therapy. Rain’s diverse range of talents makes her a powerful healer. She focuses not on one specific method of healing or on one specific part of the human experience; rather, uses her wide array of natural gifts to touch many different types of people. It is this versatility and common appeal that sets her apart from others. She is committed to offering her clients a full healing experience through compassionate and mindful listening. Every day she provides a safe space for clients to move past their personal traumas under her nurturing touch and healing words. 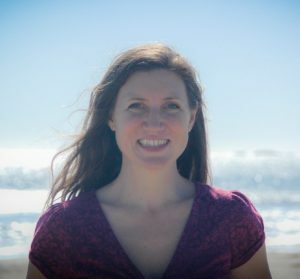 To learn more about Rain Stickney, visit http://rainelizabeth.org/.